This item is made of super strong aircraft grade aluminum. Excellent and smooth grinding guaranteed. teeth are razor sharp. the screens are very tight. You cannot go wrong in buying this excellent grinder. 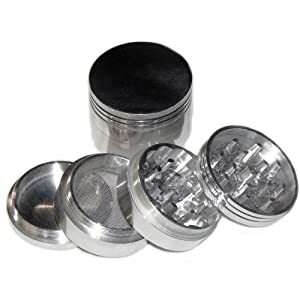 Get 80% off Four Piece New Style 2 1/4″ Herb, Spice or Tobacco Pollen Grinder.